When we think about Cruise holidays, we all probably conjure images of calm open seas, large boats and luxurious entertainment – not many of us would immediately think of crime. However, according to new research cruise passengers aren’t protected again petty and serious crime during their voyage. Most Cruises will offer passengers the chance to leave the boat to partake in day trips at ports around the world, and it is at these stops that tourists are most at risk. Tourists will usually be taken off the boat and offered a guided tour by a professional, or will be allowed to explore the area on their own. It is during this time that tourists can be pick pocketed, tricked into scams and physically assaulted. I think it is important to point out that crime rates will always be higher in popular tourist destinations, and a true representation of the danger cannot be seen unless you look at how many tourists visit each year compared the actual number who have problems. • Research – you shouldn’t rush in when booking any holiday without researching the destination(s) you plan to visit first. Check the FCO website to see if they have any warnings in place or advice about crime, and then double check if there are any reviews of your cruise route from previous travellers. This should give you a good indication of things to watch out for. • Trust your instincts – if you feel that someone is watching you while on a port excursion, or if someone makes you feel uncomfortable then walk away. Always stick with a group (the larger the better) and avoid walking around alone or at night. 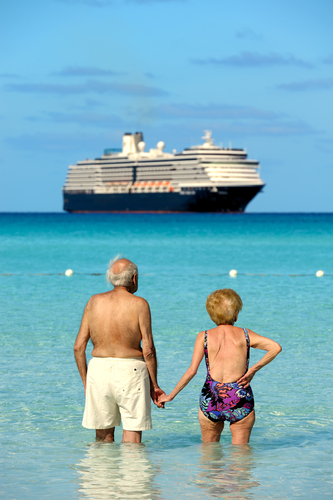 • Be prepared – make sure you have an emergency contact number for someone at the ship or your tour guide, just in case. Avoid wearing any nice jewellery, carrying expensive gadgets or large amounts of cash – as this may draw unwanted attention. Always using a bum bag as opposed to a pocket or handbag, and carry a photocopy of your passport as opposed to the real document if you can.